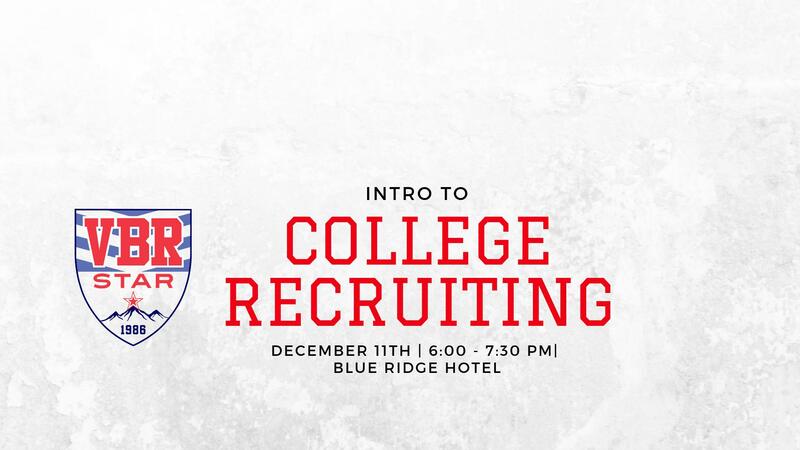 We are hosting a seminar on the College Recruiting process for VBR Star players. Many families have requested individual meetings to discuss the future of their player, and this will allow the club to reach more families with the same information. Tuesday December 11th, 6:00-7:30pm at the Blue Ridge Hotel & Conference Center (formally Sheraton), in the Presentation room in the back. This seminar is designed for rising Freshman to Juniors who has not started. Seniors….probably not much information that you have not already heard. This seminar will touch on the beginning stages of the recruiting process, and the best way to approach the next steps of your playing career. This is for many families, a stressful task, and as a club, we would like to support you in reaching your goals. Below are a few topics that we will discuss, among many more. © VBR Star Soccer Club. All rights reserved.